RHOP Season 4 gossip: Will Michael Darby's scandal be featured? Is Ashley still in the cast? We’re only a couple of months away from the RHOP Season 4 premiere, and info about the new season is starting to get out. Among the fresh tea is the fate of Michael Darby, Ashley’s sometimes-mysterious, sometimes-controversial husband, who faced sexual harassment allegations in a lawsuit brought by a Real Housewives of Potomac crew member last year. As a result of the lawsuit, Bravo suspended Michael from The Real Housewives of Potomac indefinitely. 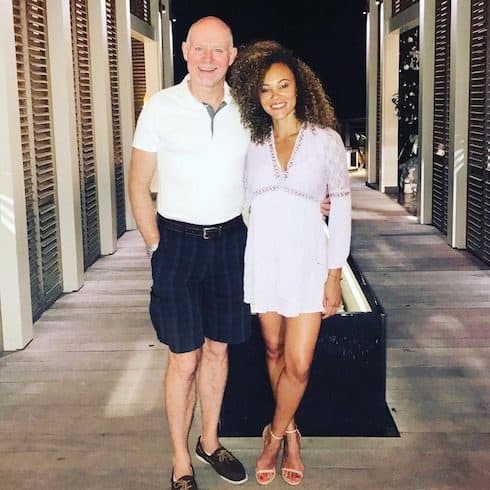 Ashley Darby took a strong stand in her husband’s defense on social media, and, for a brief period, it looked like both their futures on the show’s cast might be up in the air. In Maryland, people can file for criminal charges for certain kinds of offenses, as was the case here, he added, and the State’s Attorney’s Office has a process by which the complaints are reviewed to see if prosecution is warranted. In this case, the office decided not to pursue the allegations. Both Truly Original and Bravo have since confirmed that Michael Darby has resumed filming for RHOP Season 4. And we’ve since learned that Michael’s lawsuit will be featured as part of he and Ashley’s storyline for the new episodes, though we don’t know exactly how prominent it will be. Bravo has yet to announce the RHOP Season 4 official premiere date. However, the last two seasons premiered on the first Sunday in April of 2017 and 2018 respectively. So we’re betting that the show returns on either April 7th or March 31st of 2019.